Details: Hurricane Michael is strengthening as it approaches Florida's panhandle as a category 3 major hurricane with maximum sustained winds of 120 MPH. 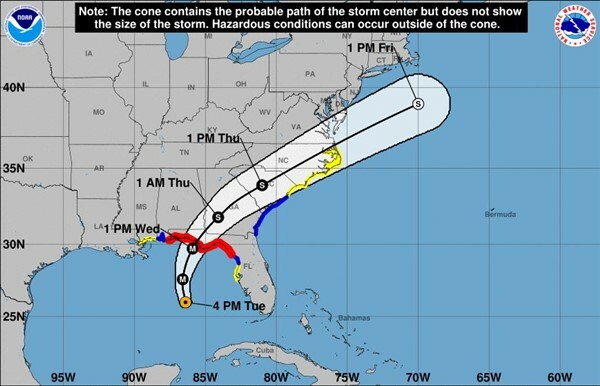 It is expected to cross Florida, Georgia and South Carolina before exiting over the Outer Banks of North Carolina sometime Thursday. The Outer Banks are expected to get winds between 70 - 80 MPH. Updates will be posted as the hurricane's path becomes more clear.